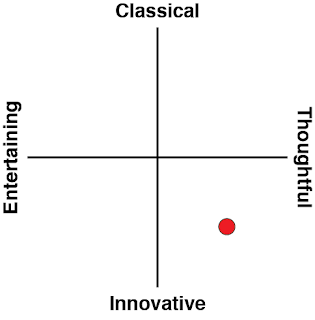 I should preface this by saying this is not going to be an average review of Limbo. Playdead’s first foray into commercial games development came as a dream and a prayer, and its earnestness and sheer novelty on the Xbox Live Arcade back in 2010 made it a hard game to write about. 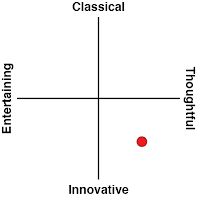 At just five hours long and with a design focused on player experience, suddenly everything became a spoiler and reviews could only describe Limbo with distanced judgements about how words couldn’t properly do it justice – and it’s hard to blame writers for this either. While I’d be reluctant to spoil an early twist two hours into a 15 hour game if it recontextualised player expectations, by that logic we’d be limiting coverage of Limbo to the game’s first 30 minutes. So I’m relieved that Playdead has released Limbo on the Switch, as finally it’s an opportunity to look at the game in hindsight. It’s time to give a game which predates the WiiU with the treatment of a retro-review, and to ask the dreaded question of whether it holds up to scrutiny. In other words, this review will have spoilers. It's an old enough game now that, as far as we're concerned, it's okay to do that. It’s interesting to think that in its original release, Limbo found itself most commonly compared to Jonathan Blow’s Braid. Both are indie puzzle platformers designed around the player’s experience, but the similarities end there. 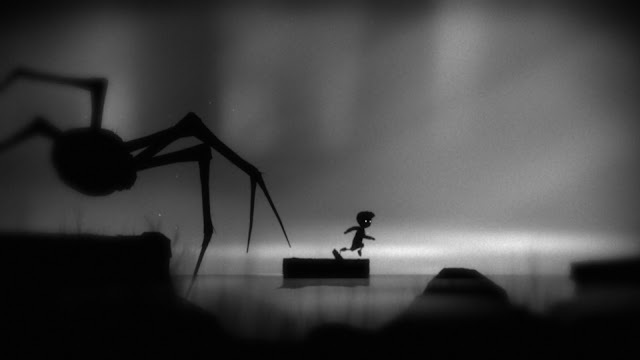 It's just that people compared the two because there wasn't much else to compare them to... before the indie movement really took off, Limbo was truly a unique game. 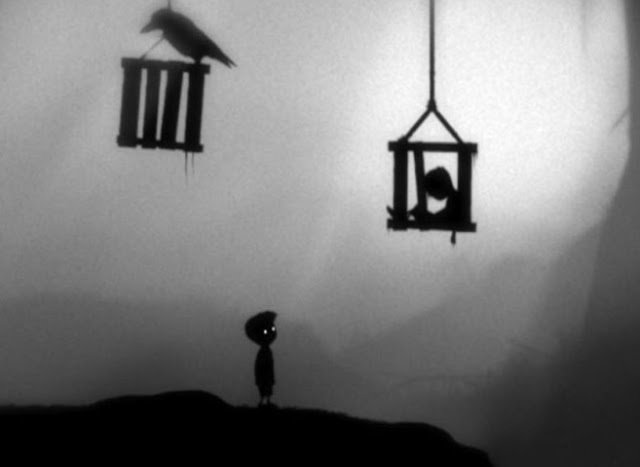 But in 2018 and on the Switch, Limbo and its "sequel", Inside, aren’t even the first of its ilk on the eShop, having been beaten to the punch by thematic successors like Bulb Boy, mechanical successors like Little Nightmares and recognisable contemporaries like Black: The Fall. As with all games which wind up defining a genre or design philosophy, Limbo will find it increasingly difficult to stand in comparison with games that expanded on its core tenets. It also doesn’t help that overall, Limbo’s thematic through-line is hard to follow, and while there are moments of profound design, few are sustained enough to truly feel impactful. For example, many critics have noticed the recurring motif of insects and an amoral natural world, such as the spider you escape from in the early levels, but there are significant portions of the game which are set in factories and industrial complexes instead. The game’s themes of death and nihilism are apparent, but with a palpable reluctance to say anything specific about either topic, it’s hard to argue that the game adopts any one particular viewpoint. The one mechanic which runs consistently through the game is puzzle design by ways of killing the player until they figure out the solution. While some would consider this an overload of "game over" screens, and a hallmark of poor design, it works in Limbo to sell the game’s vision of a harsh and unforgiving world. The game often feels like a meditation on death itself based on its theming, and in some places this comes together to form a compelling and cohesive implicit narrative. In one of the early levels which codify the game’s trial-and-error nature, you walk your avatar up to a giant crushing trap hanging over a conspicuously raised piece of land in the middle of a divot. Whilst it would be fair to assume that the raised piece of land is the mechanism that activates the trap, it’s actually the divot around the suspicious territory that springs the crusher. There’s your first death. Respawn before the trap, jump across via the safe spot and walk up to another in the same format, but this time the divot is safe and the raised piece of land in the middle kills you. There’s no way you could have known it would work like that, leading to death number two. You’ll respawn in front of the first trap and use your knowledge from experience to get past the two crushers – jump across a gap and meet three shadowy boys who shoot you with blowdarts. That’s your third death in just this sequence. The solution is to spot the boys and immediately start running backwards, jumping on the safe spots under the traps so that the hostile boys get crushed instead of you. There’s a powerful metaphor here that while the world is cruel, the boy through death and repetition gains the expertise to navigate these dangerous locales safely, and yet he is forced to use this knowledge to perpetuate pain and suffering upon others. The theme is also arguably present in an early fight with a giant spider – it’ll impale you graphically in your first encounter with it, and the game definitely tries to play up the catharsis factor, letting you tear off all its limbs and use its corpse as a platform to reach the next level. I wasn’t expecting these moments of the boy perpetrating violence, especially in a game which only has buttons for jumping and using objects. I wasn’t sure if I should have felt triumph or guilt. These two were the levels which stayed in my mind, even as I pushed through to the later levels in which these haunting moments were discarded for more traditional puzzles in a factory setting. In these, the boy will be ducking and dodging electrified wires and buzzsaw blades with not a moral conflict in sight – a predicament hardly as interesting as some of the earlier moments. 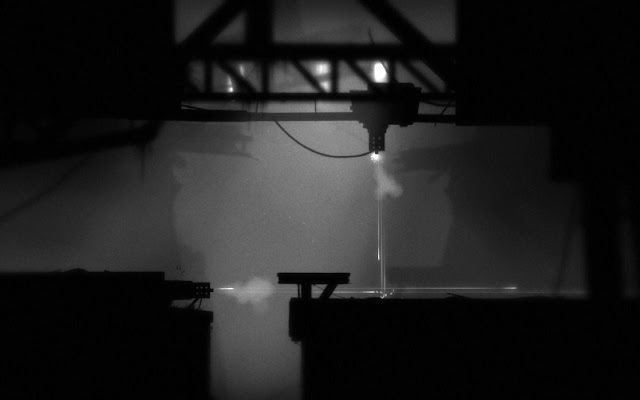 This is my biggest gripe with Limbo, that it shrouds itself in a stylistic art style and fosters a contemplative mood but shies away from exploring deeper themes. Instead, it puts its puzzles at the forefront, for better or for worse. I can’t deny that some of the designs are ingenious. I found myself stuck far less often compared to many other games, and on the first playthrough there were lots of moments of surprising discovery which all puzzle games should aspire to create. Playdead is adept at facilitating moments of realisation upon failure – the prolonged death animations force the player to watch the boy’s unpleasant demise, but they also let the camera linger on the elements of the fatal puzzle hoping that a potential solution will click in the player’s mind. The focus on realisation makes Limbo come off more favourably in a first playthrough compared to a second. Levels are designed with misdirection in mind – consider the two crushing traps as an example – and players will definitely die on their first go. Once the answer has been discovered however, the next attempt will be purely execution, and it’s here that puzzles start feeling menial. You’ll flick switches to wait for platforms to approach you slowly. You’ll wait for the water level to slowly rise so that a floating crate can be jumped upon. There is the occasional puzzle which still requires timing and platforming ability once you’ve figured out the intended answer, but most are not like this. And with this in mind, it’s easy to see how early reviewers cite the experience of playing Limbo as one of the game’s greatest strengths. Its striking monochrome art style and juxtaposition of atmospheric peacefulness with wince-inducing violence lends to a dreamlike quality that is utterly entrancing. The first few hours of this game had me terrified, wondering how the environment was going to turn against me in ever more creative and depraved ways. I loved the graphics and music which still manage to feel unique despite the game’s age. 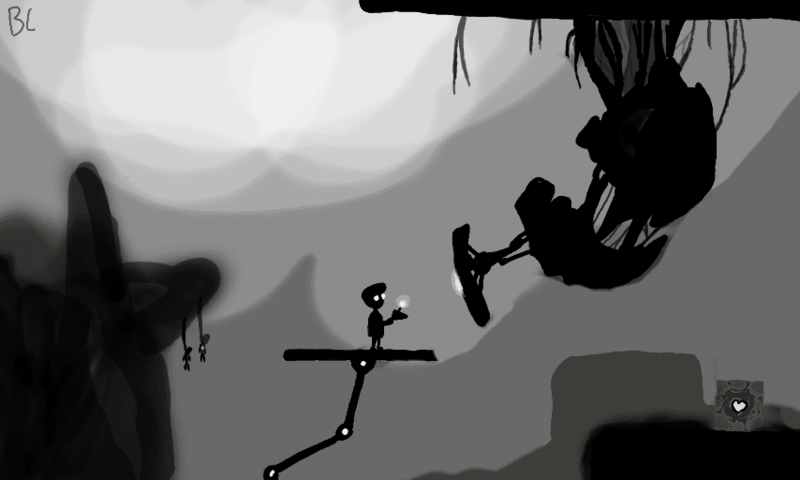 For the puzzles and atmosphere alone, Limbo is worth a try. Once the ordeal is over however, I found myself wishing for a larger narrative to delve into, or a deeper exploration of themes that the game teased but never fully committed to.